Successful Gout Treatment at Home is the stage in your gout treatment plan where happiness happens. Success! You’ve done it. Or, at least, you’re on the home run. Let’s see how to tell when your gout treatment plan is successful. Successful Gout Treatment at Home. Please note that you cannot complete this step without the records we created in Monitor Your Treatment Of Gout. If you have a photographic memory, you might skip that monitoring step. If not, make sure you have your records of gout symptoms and test results. Has Gout Treatment at Home Worked? Now, because every gout treatment plan is different, I cannot say if Your plan has worked. But, I can tell you how to check. You need to go back to the goals you set yourself at the beginning of the process. If you wondered why I was insistent on personal goals, now you learn why. If you wanted to avoid losing work, when was the last time you needed a day off due to gout? If you wanted to enjoy playing with grandkids, how’s that going? If you wanted to shrink that unsightly tophi, can you still see it? 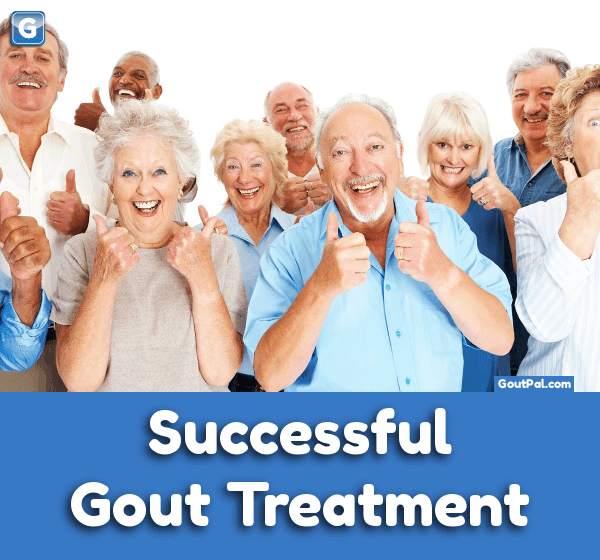 Your gout treatment at home is a success when you’ve achieved your goals. It’s that simple. But, you have to be sure. For pain control plans, you need to know you can control gout pain whenever you need to. During your treatment, you will have to have dealt with gout pain on at least 2 occasions. Did you make the last 2 gout flares bearable within 2 hours? If so, then you have successful gout treatment at home. Has it been at least 6 months since your last gout flare? During that time, has your uric acid ever been higher than 5mg/dL? Did you answer ‘Yes’ to the first, and ‘No’ to the second? If so, then you have successful gout treatment at home. 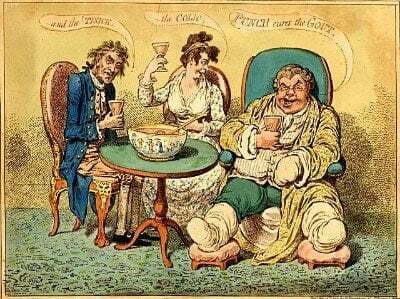 How successful was your gout treatment? Are you sure if you’ve been successful with your gout treatment plan? If not, discuss it with your health adviser. Or, ask in my gout forum. If you haven’t been successful, you can also use my gout forum for extra help and encouragement. If you have been successful, please do not forget your hard work. For plans to control uric acid, you must remember to continue with annual checks. For other plans, you should consider improving your plan to be free from the fear of gout pain. Leave Successful Gout Treatment at Home to browse the Gout Treatment Guidelines.